A new arrival at Selene’s high school is about to turn her entire world upside down. She’s never met anyone so attractive—or so mysterious—before this, but Jace’s unyielding insistence that they’ve known each other for decades can’t be denied—not given how familiar he feels to her. 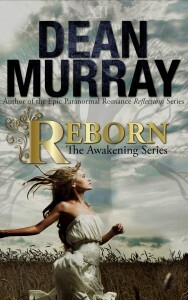 Get your copy of Reborn today! Becoming one of the Awakened, a group of godlike beings, should have been the end of Selene’s worries. Instead, dangerous people who want the secrets she hid away in a past incarnation are hunting her, and every time Selene uses her abilities she pays a price—losing memories that are impossible to get back. Jace, Selene’s hunky ex, has promised to protect her, but when Selene is kidnapped by Jace’s brother Kyle—who she was married to before Jace came into the picture—things get strained. Without Kyle’s help, Selene can’t save the people she cares about, but trusting Kyle could have unfortunate consequences. 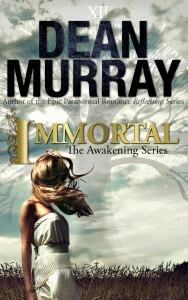 Get your copy of Immortal today! Becoming immortal and mastering god-like powers hasn’t been easy for Selene. Enemies shadow her every move, and using her powers continues to rip away memories of her childhood and the mother she lost too soon. Get your copy of Endless today!